Colin and Christine Weir from Largs, Ayshire, confirmed in a statement that they have been living apart “for some time” and that their divorce is amicable. Before winning the EuroMillions jackpot eight years ago, Colin Weir used to be a TV cameraman and his wife Chris a psychiatric nurse. They have been married for just over 30 years and have two grown-up children. In 2013 they set up The Weir Charitable Trust, through which they donated to the Scottish Championship side Partick Thistle FC. The EuroMillions lottery winners also made a donation of £1m to the independence campaign ahead of the 2014 referendum and continued donating to the Scottish National Party (SNP) afterwards. The couple issued a statement this week to The Scottish Sun saying, “It is with deep regret that Chris and Colin confirm they have been living apart for some time and intend to divorce amicably. Since winning the biggest EuroMillions jackpot, the newly rich couple swapped their modest three-bedroom detached home in Largs, Ayrshire worth £200,000 for a much bigger property. The couple purchased Knock House a month after their win. Knock House has five bedrooms and a three-bedroom gatehouse on the estate for guest accommodation. It, however, wasn’t long after that that the couple upgraded even further and sold Knock House and bought palatial Frognal House for £3million more than four years ago. As the couple have been living apart for just over a year already and their split not kept a secret to anyone, they brokered a deal giving sole ownership to Christine, 62. 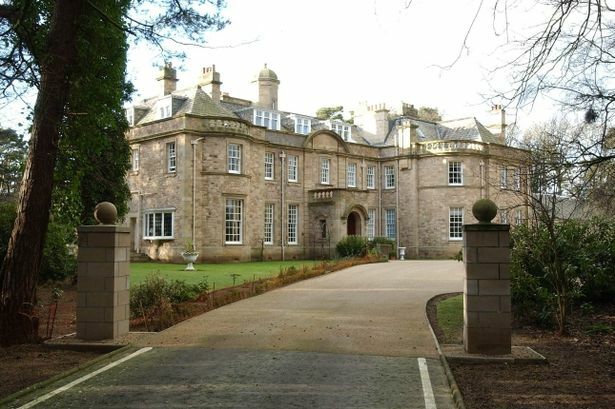 Colin, 71, bought his own coastal mansion comprising of five-bedrooms several miles away in Ayrshire. The good thing about this story is that they still get along well and both seem happy. Knowing this couple, they will without a doubt still be focussing on how they can help their community and various projects that are close to their heart. We wish them well and no doubt we will still hear about their good deeds that they do.